The construction of a nuclear power plant is definitely going to happen and soon. “It is not a case of if, but when,” says Dr Kelvin Kemm, a nuclear physicist who heads up Nuclear Africa, a private project management company. Dr Kemm has recently been appointed to the special South African Ministerial Advisory Council on Energy (MACE). He also sits on two prominent nuclear boards in the US. Dr Kemm made these remarks during his visit to the 3 800 hectare Thyspunt site earlier this month. Thyspunt is one of three proposed nuclear sites. St Francis Chronicle and a Johannesburg-based financial journalist from Moneyweb were invited to a tour of the site. Dr Kemm believes construction could start as early as 2016. And he told St Francis Chronicle that the nuclear procurement process is imminent. This process involves the bidding for nuclear components. Dr Kemm points out that the long awaited EIA draft for the proposed Thyspunt nuclear site is currently with the Department of Environmental Affairs. This report is scheduled to be released very soon. Then there will be a public participation process with public meetings, expected to start in September. Following this the Department needs to take a Record of Decision and then the process moves to the Minister of Energy for a decision. Approval for one of the three sites to be used for the construction of another nuclear power plant in South Africa could be given as early as April 2016. 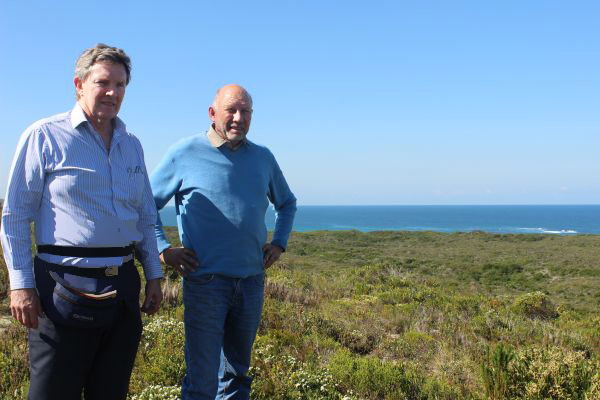 Photo: Earlier this month Dr Kelvin Kemm of Nuclear Africa and Environmental and Site Manager at Thyspunt, Hennie de Beer, were at the Thyspunt site. The pair are standing not too far from the Thyspunt site (to the left of them), which is one of three sites earmarked for the possible construction of a nuclear plant. Photo: Bev Mortimer. Provided there is no hold up, construction of the first of three nuclear power stations could start next year, Dr Kemm advises. Under South Africa’s current Integrated Resource Plan (IRP) for electricity, the intention is to introduce 9 600 MW of new nuclear capacity, or some six to eight reactors, between 2023 and 2030. The Department of Energy has said that it will “follow the approved procurement process, which will include a competitive-bidding process that is transparent and cost effective and in line with legislation”. 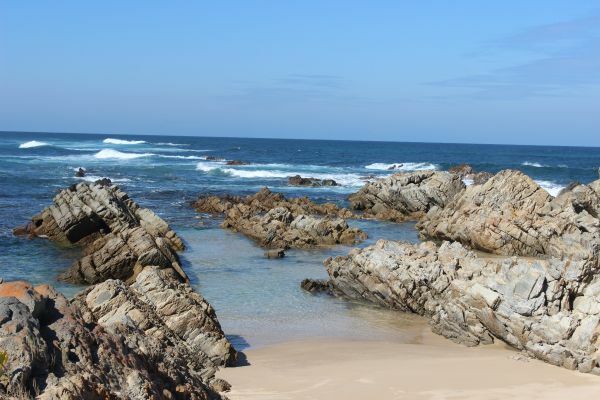 While most local businesses believe Thyspunt will be good for St Francis Bay and the whole Kouga region in a flagging economy, not everyone in the idyllic town is pro-nuclear. 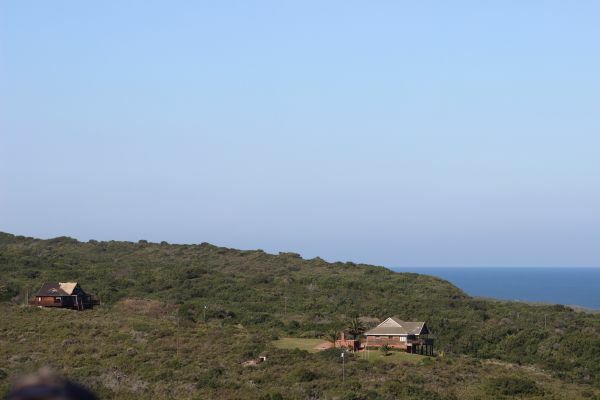 One of the main local antagonists is the Thyspunt Alliance which maintains it is not anti-nuclear but is opposed to a nuclear power plant being constructed at Thyspunt, only 10 kms away from St Francis Bay. Trudi Malan who heads up the Alliance was reported last week to have told an online business news website that the site was not suitable for various reasons, including fears that it could negatively affect the local chokka industry. On the Thyspunt Alliance blogspot it states that “a War Chest” has been established “to raise funds for a possible legal challenge”. Interviewed last week by John Robbie on 702, Dr Kemm said that nuclear power provides consistent electricity, whereas solar and wind technologies are variable. Dr Kemm quoted the environmental manager of Eskom, Deidre Herbst, who spoke recently at the Nuclear Africa 2015 conference on how much work had been done to categorise the proposed sites for the new nuclear construction. Herbst revealed potential sites have been drilled to gather information on the geology below ground, meteorological measurements have been taken for years (so weather patterns over the areas are really well known) and the fauna and flora have been studied in minute detail, plus ocean areas were examined. Dr Kemm said the conference clearly showed the vast potential of nuclear power for Africa and also indicated that South Africa is ready to start building right now. “We need to get going! “The first site is ready for use. A few legal procedures are left and then we are ready to roll,” Dr Kemm said. In an aside and talking on the benefits of nuclear, Dr Kemm revealed that South Africa is the second highest exporter of nuclear medicine in the world and one of the world leaders in medical radioisotope production. The country exports more than R1-billion worth of nuclear medicine annually from South Africa. “Nuclear components have many uses… there are even silicon chips in cell phones which were processed in the Safari nuclear reactor near Pretoria,” he added.